It’s a no-brainer that high sugar levels can lead to a lot of health complications. The most prominent and dangerous one is diabetes. 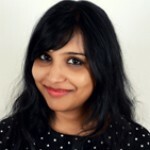 Have you noticed how the average age for diabetes has come down to 20 years in recent times? This is due to the sedentary lifestyle we lead and stress at work and home. It is a matter of serious concern and should not be ignored. So, start taking care of your blood sugar levels before it’s too late. And the smart way to do so is to use natural remedies. These ancient remedies are now backed with scientific research that gives us the confidence to share our findings with you. 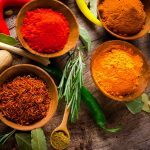 So, read on and find out about these 25 herbs, spices, and supplements, how to consume them, where to buy them, and much more. Let’s begin! This plant is literally called ‘sugar destroyer’ in Hindi, so you can well imagine its diabetes-busting properties. The herb is loaded with glycosides known as gymnemic acids. These essentially reduce your taste bud’s sensitivity to sweet things, thereby lowering sugar cravings in prediabetics. Even those who are already affected by type 2 diabetes can control their sugar levels with the help of this herb. It increases the enzyme activity in the cells, which results in utlization of excess glucose in the body. It can also positively affect insulin production (1). You can consume it in the powdered form, make tea with its leaves or have capsules. You can make tea by steeping the leaves in boiled water for 10 minutes. You can also add the powder to a cup of lukewarm water and consume it. The dosage is as follows. The best time to consume Gymnema Sylvestre is in the morning or 20 minutes before meals. You can buy it online and at Ayurvedic stores or pharmacies. Ginseng has been known as an immunity boosting and disease-fighting herb for ages, but researchers have recently found that it also contains anti-diabetic properties. 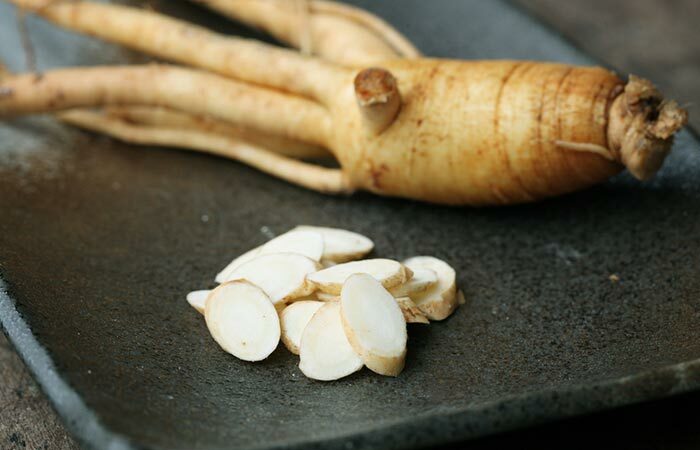 When you take ginseng, the absorption of carbohydrates slows down, and the cells take up and use more glucose. Apart from that, insulin production in the pancreas also increases. All these contribute to a healthier body that is less prone to diabetes. If you already have diabetes, this can help lower the blood glucose levels by 15 to 20%, better than placebo, as shown by the research team from the University of Toronto (2). You can have ginseng root or powder. Chop the root and add it to boiled water. Let it steep for 5-6 minutes. You can also mix powdered ginseng in warm water and have it. The dosage is as given below. Consume ginseng early in the morning and before dinner. You can buy it online or at Chinese medicine shops and Ayurvedic pharmacies. 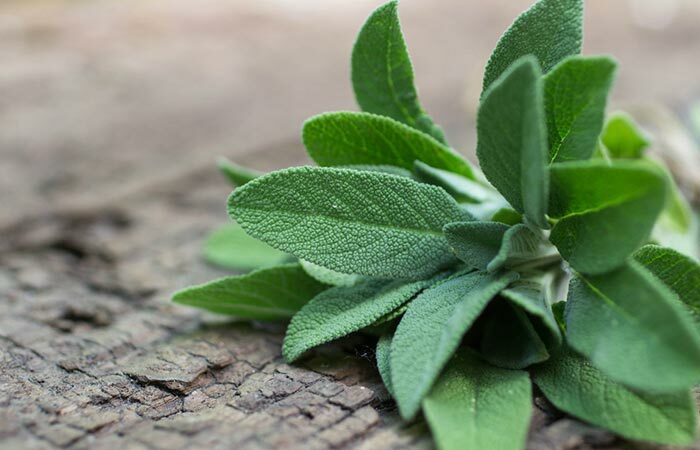 Consuming sage on an empty stomach can help reduce the blood glucose levels significantly. It boosts insulin secretion and activity, which helps to curb blood sugar in prediabetics and manage it in type 2 diabetics. Apart from that, it also affects liver function positively, thus improving immunity. Although favored as an addition to meat dishes, this herb is at its medicinal best when it is consumed as tea (3). The best way to consume sage is in the form of tea. You can also include chew sage leaves or add them to your food or take sage supplements. To prepare sage tea, pour boiling water in a cup containing 1-2 sage leaves. Let it steep for 5 minutes. The dosage is as follows. Consume sage tea or chew sage leaves early in the morning on an empty stomach. You can include sage leaves in your food for lunch and dinner. You can buy sage at grocery stores or online. This is another effective herb for diabetes treatment that has shown immense medicinal potential. Not only does it help type 2 diabetics, who suffer from high blood sugar levels, but it is also quite effective in treating diabetes mellitus. 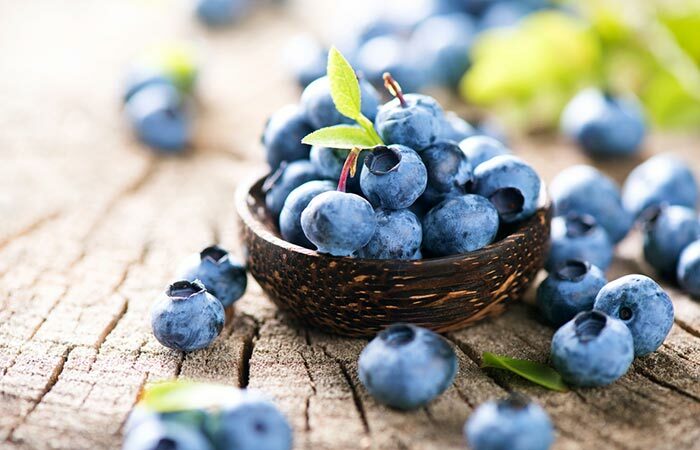 Bilberry contains a compound called glucoquinine, which is chiefly responsible for lowering the blood sugar levels. Bilberry infusions can also help people whose eyesight has been compromised due to this disease. However, you should be careful if you are taking bilberry infusion along with diabetes medication as it might cause your blood sugar to drop to dangerous levels. So, monitor your blood sugar levels regularly (4). You can consume the extract once in the morning and once in the evening an hour before dinner. You can buy bilberry extract at a pharmacy, Ayurvedic stores, or online. Also known as marjoram, this exotic herb of Spanish and Mediterranean origin is known to contain glycosides that lower the blood sugar levels in the body. The water extracts of oregano exhibit a glycosidase inhibitory activity in vitro. The Rosmarinic acid separated from the extract has been shown to increase the pancreatic amylase activity. It also boosts the immune system. It helps in increasing insulin activity and mobilizes glucose in the cells, thus reducing the rate of carbohydrate formation (5). Oregano is regularly used in different cuisines. 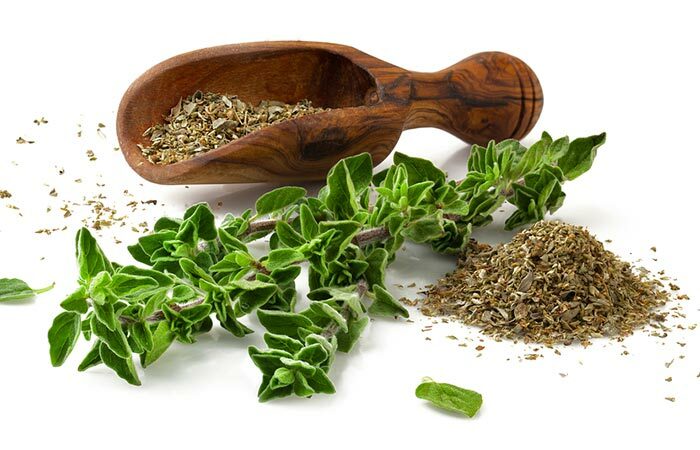 You can use fresh or dried oregano in your food, chew the leaves, make oregano tea, consume diluted oregano oil or capsules. Make oregano tea by adding a teaspoon of dried or fresh oregano to a cup of boiled water. Let it steep for 5 minutes. Scroll down for the dosage. It is best to drink oregano tea early in the morning. You can also chew fresh leaves in the morning. Use dried oregano for lunch and dinner. You can buy oregano at any supermarket or online. This fleshy leaf plant grows widely in India, South Africa, Mexico, Australia, and China. It is mostly used in cosmetic and pharmaceutical industries. Aloe vera has been used for ages to treat inflammation, improve digestion, prevent acne, and reduce hair fall. Recent scientific studies have found that aloe vera gel contains lipid-lowering and blood sugar lowering properties (6). Aloe vera juice and extract are available in the market. You can consume them as per the instructions on the bottle. You can also prepare aloe vera juice at home. 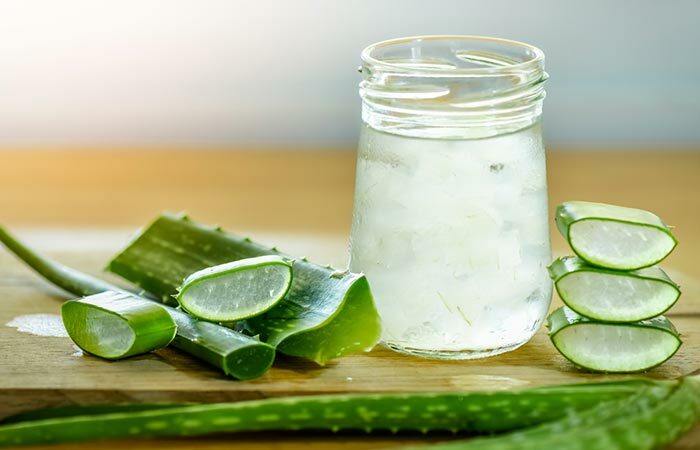 Take a 3-inch aloe vera leaf, extract the gel and blend it. Add water and lemon juice to dilute it. You can also consume aloe vera capsules. Here’s the dosage. Consume aloe vera juice or extract early in the morning. You can have a capsule before lunch. You can buy aloe vera juice, extract, or capsule at any Ayurvedic store or online. The mighty ginger is widely used in Asian cuisines and is grown in China, India, Australia, Africa, and Jamaica. Like aloe vera, ginger has also been used in herbal medicines since ancient times. This aromatic spice can also help lower the blood glucose levels. Many scientific studies have confirmed that ginger helps to control the blood sugar levels by increasing insulin secretion and insulin sensitivity (7). 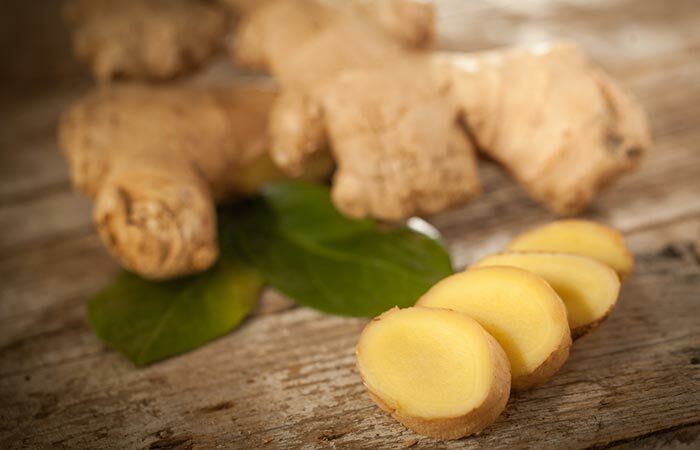 You can chew raw ginger, use it in your food, drink ginger tea, consume ginger powder, use its oil, and add it as one of the ingredients in a glass of juice. Here’s how much much ginger you should consume per day. Ginger tea is great to start your day with. Try to avoid consuming ginger after 6 pm. Have a fruit juice along with a little ginger juice before lunch. You can buy it at any supermarket or online. Fenugreek seeds and leaves are extremely useful to treat metabolic disorders and digestive problems. This plant is native to Spain, India, Pakistan, Bangladesh, Turkey, France, Egypt, Argentina, and Morocco. It has been used since ages to treat hair fall, skin issues, and slow metabolism. This spice is also widely used in various cuisines. 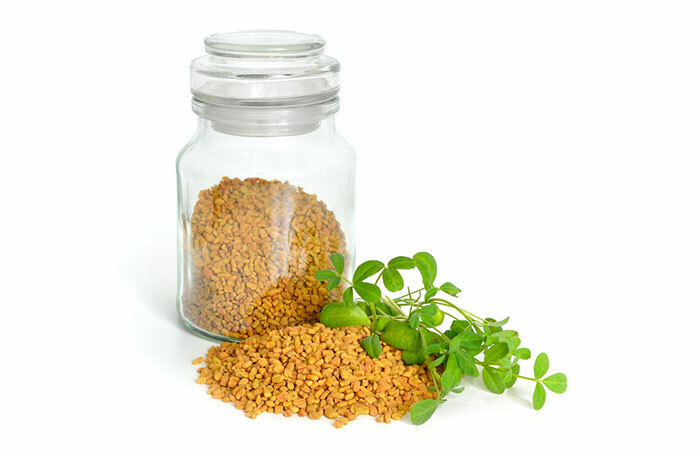 A study confirmed that fenugreek seeds have blood glucose-lowering effects and can be used to treat type 2 diabetes (8). The best way to consume fenugreek is to soak the seeds overnight. You can also include the seeds and leaves in food preparations. Here is how much fenugreek you should consume per day. Drink fenugreek soaked water first thing in the morning. You can have fenugreek seeds or leaves during lunch or dinner. You can buy fenugreek seeds and leaves at any supermarket or online. 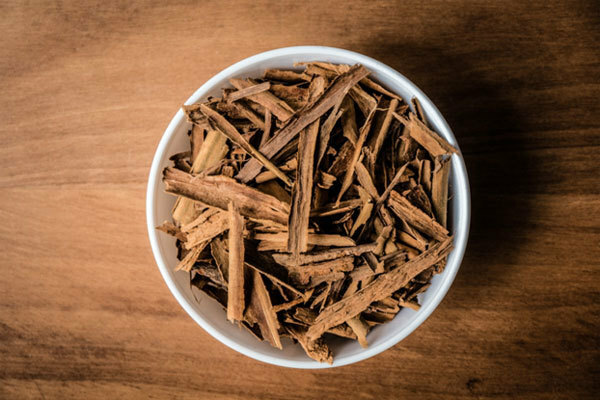 This strong-smelling spice, derived from the bark of cinnamon trees, is regularly used in South Asian cuisines and desserts. It is an amazing herbal supplement for diabetes and treat obesity, muscle spasms, diarrhea, and common cold. Many studies have confirmed that consuming cinnamon regularly can help to control high blood sugar and hence, it can be used as an alternative medicine to treat diabetes (9). You can consume cinnamon bark, powder, or capsules. The dosage is as stated below. You can have cinnamon tea in the morning and evening. Add cinnamon powder to your smoothie or juice for breakfast. Have the capsule once in two days. You can buy cinnamon at any grocery store or online. Clove is a flower bud that is popularly used in Indian, Pakistani, Bangladeshi, Sri Lankan, and Tanzanian cuisines. This aromatic spice has anti-inflammatory, antioxidant, and digestive properties. 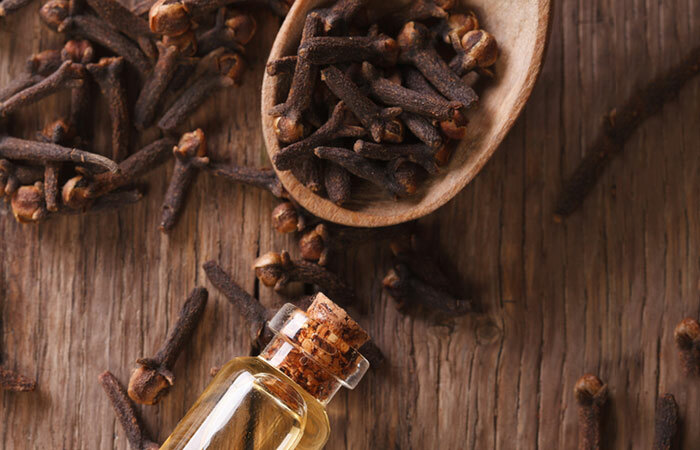 Research has confirmed that clove helps to improve insulin sensitivity and lowers the levels of bad cholesterol and triglycerides (10). You can consume clove by chewing it raw. You can also use whole or powdered cloves in food preparations or consume clove capsules. Here is how many cloves you should consume. Soak 3-4 cloves in a cup of water overnight and drink it in the morning. Use whole or powdered cloves in your food for lunch or dinner. Take 2-3 clove capsules in a week before dinner. You can buy clove atany grocery store and clove capsules at an Ayurvedic store or online. Turmeric is commonly used in Indian, Bangladeshi, Pakistani, and Iranian cuisines. This ginger-like spice adds color and a distinct flavor to food. Turmeric is also an Ayurvedic medicine that is used to treat bacterial infections, wounds, skin issues, and digestive problems. Research has found that a phytochemical called curcumin is responsible for turmeric’s yellow color and medicinal properties. Curcumin is also responsible for having a blood glucose-lowering effect. In fact, one study confirmed that patients with type 2 diabetes could lower their blood glucose levels by consuming turmeric (11). 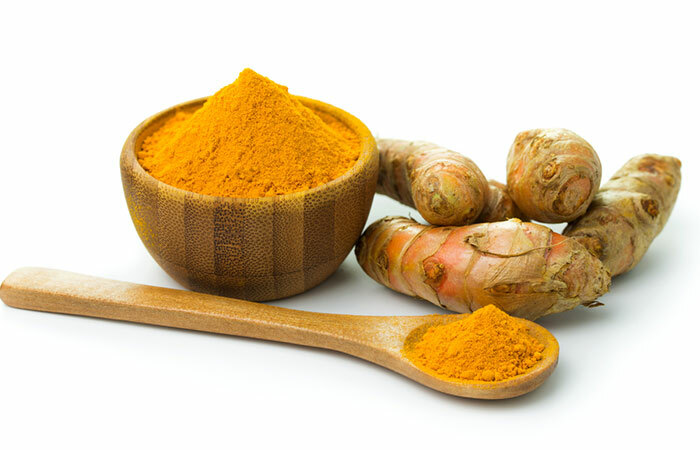 You can chew a small bit of raw turmeric, take capsules, or consume it in the powder form. Here is how much turmeric you should consume per day. You can chew turmeric on an empty stomach and use its paste or powder in cooking or smoothies/juices. 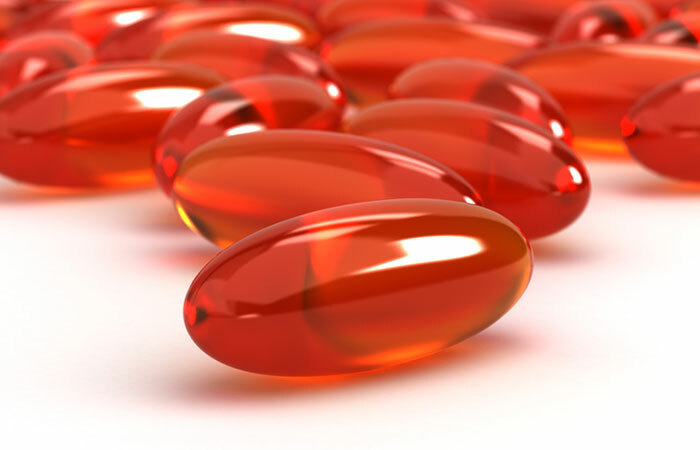 Take the capsules before lunch or dinner. You can buy turmeric at any Indian or Pakistani grocery store or order it online. Neem or Azadirachta indica is native to India. It also grows in the neighboring countries like Bangladesh, Nepal, Sri Lanka, and Pakistan. Neem trees have bright to dark green leaves that possess many medicinal properties. In fact, its bark and fruit are also used in traditional medicines. Ayurveda says that neem has antidiabetic, antifungal, antibacterial, antiviral, antioxidant, and anti-inflammatory properties. A few studies show that it possesses blood glucose-lowering properties. This confirms neem’s antidiabetic property as mentioned in Ayurveda (12). 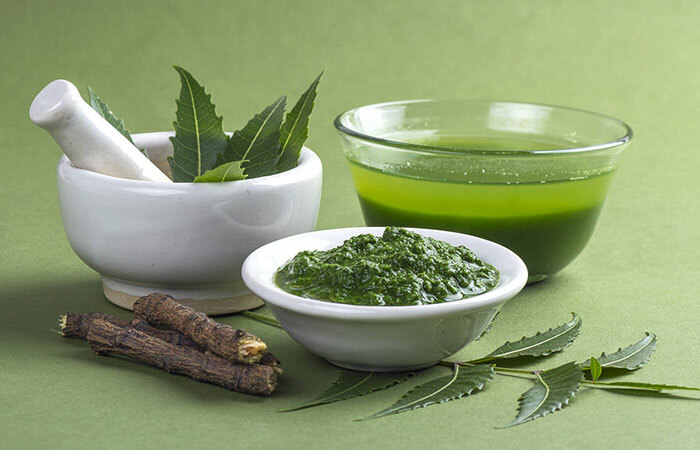 You can chew thoroughly washed leaves of neem or take neem paste or neem capsules. Here is how much neem you should consume. You should consume neem paste diluted in a glass of water early in the morning. Chewing neem leaves in the morning is also effective. 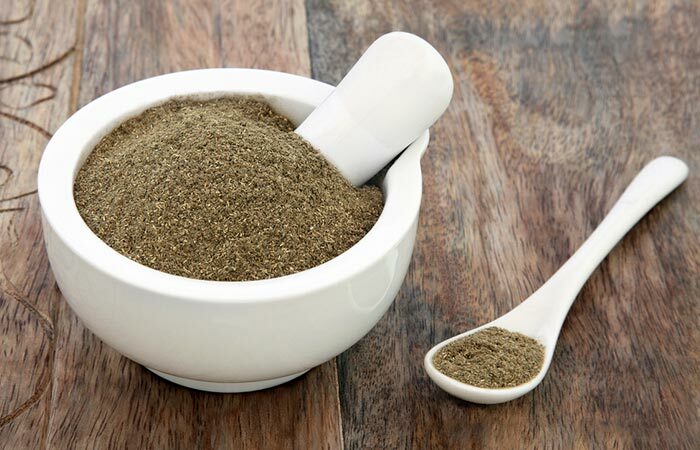 Take neem supplements before breakfast once a day. You can buy neem supplements/capsules online or at any Ayurvedic store. You can also buy neem leaves at the local market or Indian supermarkets. Shilajit is found in the Himalayas, Altai Mountains, Caucasus Mountains, and Gilgit-Baltistan Mountains. It is a tar-like mineral oil that oozes out of these mountains. Its color can range from light brown to dark brown. It has antioxidant properties and has been used to improve muscle power, reduce the risk of heart disease, slow down aging, and boost fertility. 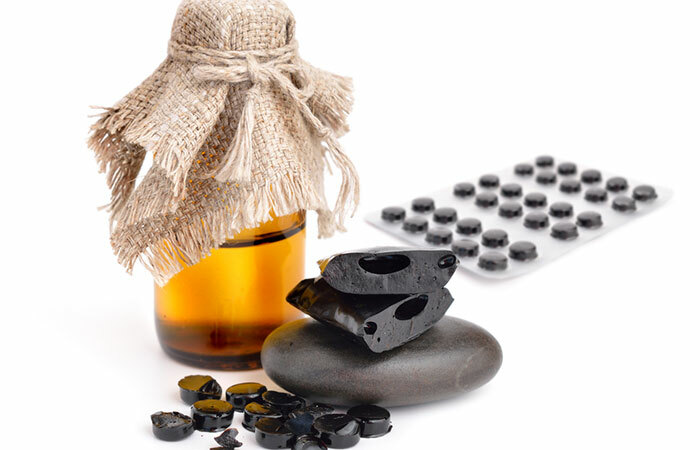 It has also been found that Shilajit can help stabilize the blood sugar levels (13). You can consume good quality shilajit supplements with milk, honey or sesame oil. Here is the dosage. You can consume it in the morning and before lunch/dinner. You can buy Shilajit online or at any Ayurvedic store. 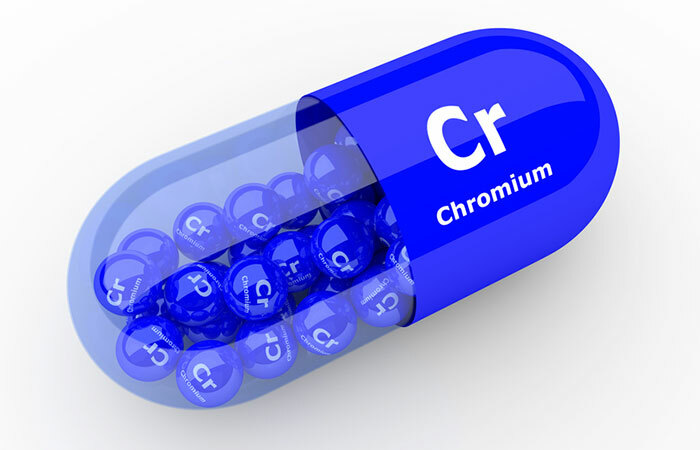 When it comes to lowering blood sugar, chromium is one of the best supplements. It has recently gained popularity as a dietary supplement. Chromium helps to keep your carb cravings at bay, lowers bad cholesterol levels, mobilizes fat, and improves insulin sensitivity (14). Chromium supplements, such as chromium picolinate, chromium polynicotinate, and chromium chloride, are available in the market. Here is the recommended dosage. You can take chromium supplements before lunch and dinner. You can buy the supplements at any pharmacy. Alpha Lipoic Acid (ALA) is an antioxidant mainly found in potato, spinach, broccoli, liver, yeast, and kidney. It is usually used to treat fatigue, memory loss, kidney disease, liver disease, neuropathy, and Lyme disease. It has been found that alpha lipoic acid supplements can help lower the blood glucose levels and hence, it is a potent supplement for treating diabetes type 2 (15). ALA supplement capsules are the best way to provide your body with an extra amount of ALA. Dosage is as follows. You can buy it online or at any pharmacy. 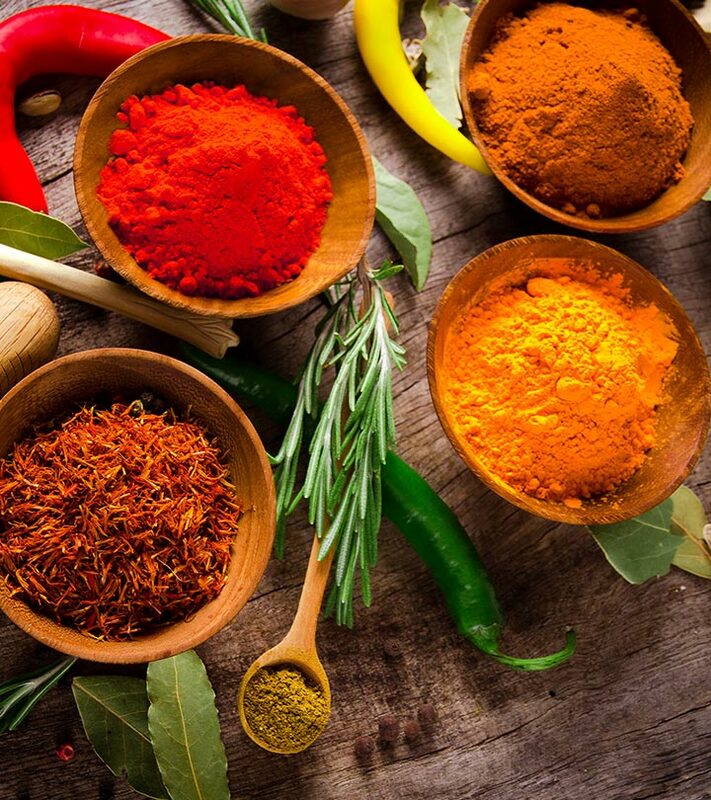 There you go – 15 spices and herbs for diabetes cure along with its supplements! We highly recommend these for controlling your blood sugar levels. These are highly effective, have no side effects, and promote better health. So, what are you waiting for? Start using them today!